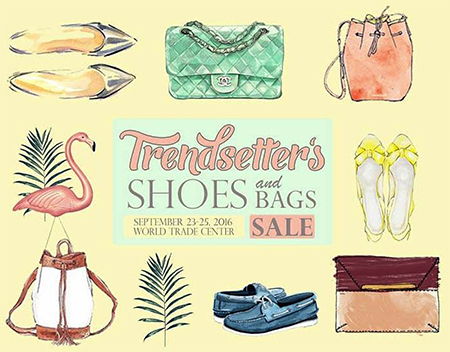 The hunt is on for the last huge end-of-season discount on shoes and bags at the upcoming Trendsetter’s Bazaar from September 23 to 25, 11 a.m., at the World Trade Center! Get your shopping on as we approach a new season! Check out quirky phone accessories from Crowned Velvet, chic fashion pieces from Frippery Clothing, stylish shoes from Etsy Manila, and more!